When it comes to identifying a business, few things are more useful than a great logo. A logo becomes synonymous with the brand. It’s a small piece of graphic design that is used as a signifier for all that is good and memorable about your company. In terms of branding, logos are an essential component that cannot be overlooked. However… Designing Your Own Logo is Expensive… Or is it? … logos are expensive. To hire a graphic designer to produce your business’ logo is to say goodbye to a huge amount of money. Not only that; there’s no guarantee you’ll even be pleased with the finished result. Hiring a designer means taking an (expensive) punt. You hope it will work out for the best and the return on investment will be worth it, but it’s still going to be a nervous time. For some established businesses and almost all startups, spending a small fortune on professional logo design is an unrealistic idea. If your budget is limited, then there are far more vital areas of a business to invest in. These are areas that are crucial to the everyday running and organization of the company. Graphic designers do wonderful work, but their time is outside of the budget for many up-and-coming businesses. Choosing to go without is a reasonable decision, and will allow you to spend your money where it is needed more. Yet… there’s no denying you do still need a logo, because logos genuinely are very important to brand cohesion and identity. So you now find yourself stuck: you’re not able to hire a graphic designer, but you need a logo— who is going to design that the logo you need? If you are lacking in experience when it comes to graphic design, the idea of designing your company’s logo might sound preposterous. However, lack of experience need not be a concern when it comes to designing your business logo. If you can use a computer, then you’ve got all the expertise you need to design a custom logo with Wix. When you design a logo with Wix, all you need is time to experiment. You don’t need to worry about paying the sky-high fees of graphic designers. 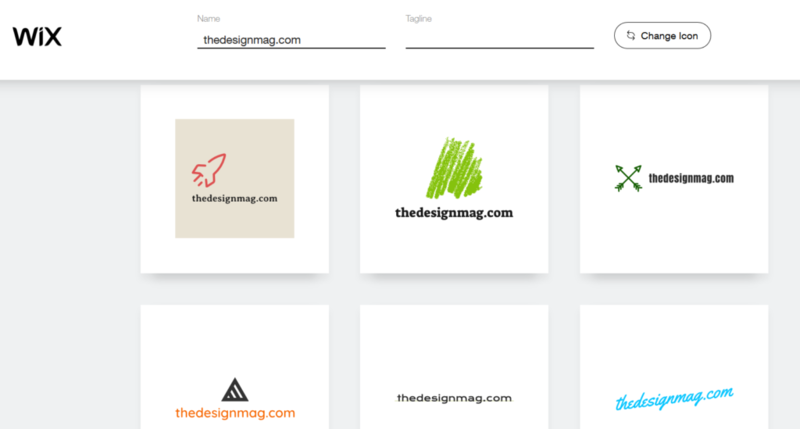 Instead, you can create a logo for yourself using the simple, easy-to-use tools available to you. When using Wix to design your own business logo, you have full control. You will be able to change a variety of settings, too. These include the text, font, color, and many other design elements that are crucial for producing the end result you want. Comfortably, the entire process has been designed to be as easy to complete as possible. You don’t need any prior design experience! A willingness to experiment with the Wix site is all it takes to deliver outstanding results. You’ll be amazed at what you can create with a little patience. In fact you’ll soon realize that choosing to DIY design your company’s logo was an excellent decision. Wix is able to help you design the perfect logo for your company, but that’s not all it can do. With Wix, you can also help to control the costs of another infamously high business expense: website design. Again, all you need is willingness to learn and to spend some time custom-creating your site; and, again, as with logo design it’s remarkably simple to do. Wix allows business owners to reduce their costs substantially. The expense of graphic designers and web designers is instantly removed from your outgoings list. This immediately helps to free up funds to use in other vital areas of your business. As well as helping to ease your budgetary concerns, using Wix also benefits you personally. You will learn a new skill— and perhaps discover a hitherto unknown talent for graphic design into the bargain! If your budget is tight and a professional graphic designer is out of your reach, then you may be surprised how effectively you can design your own logo. You may even be a little surprised how much fun you find it, too! With Wix supporting you, your lack of experience simply doesn’t matter, as Wix is able to provide the support you need. As you seek to design the perfect business logo for your company, giving Wix a try is sure to be a decision that you won’t regret!